Conscia Ventures provides coaching and consulting services to consciously-minded CEOs, entrepreneurs, change agents, and professionals to understand and navigate the emerging Conscious Business landscape. Though clear vision, articulation of purpose and desire to make their unique personal and organizational difference, they're more able to positively influence their organization, evolve their company culture inside of a shared vision allowing for new levels of employee engagement, customer advocacy, efficiency and yes, profitability. Conscious Capitalism is an idea, and a Global Movement, that builds on the solid foundations of Capitalism - voluntary exchange, entrepreneurship, competition, freedom to trade and the rule of law. These are essential to a healthy functioning economy, as are other elements of Conscious Capitalism including trust, compassion, collaboration and value creation. At Conscia, we are champions and ambassadors for the movements that are forwarding evolutionary thinking in business, showing the way and providing the evidence that this is not just an idea or a fad, that this is the future of how humankind will collaborate together for the greater good. Our natural evolution in awareness is transforming the future business into one that is focused on adding enormous value and making a positive contribution and social impact. Financial gains are key, but simply a natural expression, or bi-product of the service and value that is being delivered in the world. 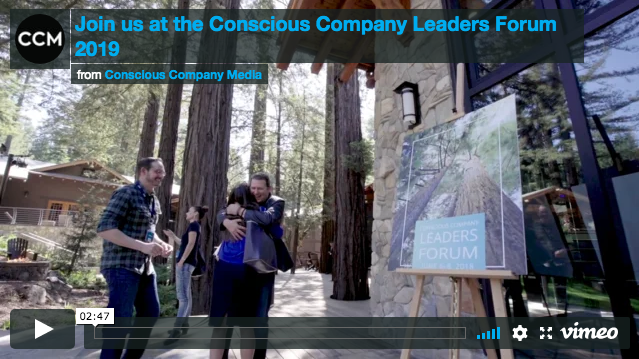 Discover how these forward thinking movements in conscious business, such as Conscious Capitalism, B-Corp, Wisdom2.0 and others all fit together to serve the greater good. Explore how they can benefit your organization by providing you with new, inspired ways of looking at your business through a progressive lens, that not only feels better to all the parties involved, but produces more meaningful, profitable and sustainable results. We are all on a journey. A journey of expanding our consciousness in how we navigate life’s dynamic terrain and how we can best utilize our unique gifts to enjoy the ride and serve the world. Business is no different. The landscape of business is changing dramatically. As our view of business evolves, we transition from the old-world of business to a more ‘conscious’ approach to business, one that’s much more enjoyable, sustainable and yes… profitable. This shift has generated several inspired leaders, organizations and global movements that represent this evolution of our collective consciousness towards more purpose driven & social impact organizations. We serve as your conscious business guide. 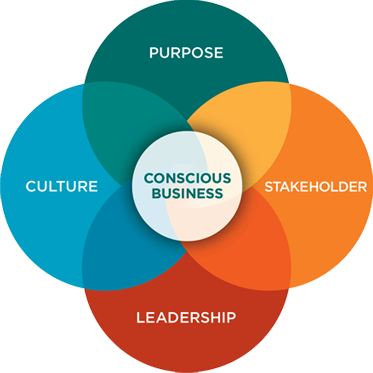 We're your Sherpa in assessing the conscious business landscape, creating an initial baseline assessment of where your organization can best benefit from the Four Tenants framework, and collaborate on how to get started on a practical application plan. Q : How can you learn to implement high performance practices and conscious business principles in your business environment? How does it apply to your unique organizational culture and address your challenges? That’s the incredible opportunity for us to explore together. Let us help you navigate and understand this new exciting terrain. ..we believe that we're simply restoring the 'original intent' of business. We are committed to embracing and advocating this Four Pillars framework and bringing these practices to life, for individuals and businesses. Being an early adopter of this movement and having always resonated with it's values, I've seen first-hand the power and importance of conducting business in a way that inspires collaborative genius, generates a shared connection to a higher purpose, encourages the expression of passion and creates a safe-space to unleash your organizational bad-assery, all while still keeping a diligent eye towards on-purpose performance and profitability. Conscia has been a student of this emerging landscape for the last 7 years and has seen this vision become a reality in the marketplace. As an early adopter of this movement, and as a Board Member of the Bay Area Chapter of Conscious Capitalism and an active participant in the global CC Chapter leader community, Conscia has developed a network of strategic alliances with several leading Conscious Business providers, who are shaping this emerging industry. So, if we're not the right fit for you, we've got you covered.